Image: A still from ABC-TV’s Pastures of the Blue Crane, featuring the home Lovat Brae at Terranora. Courtesy of Tweed Regional Museum. Tweed Regional Museum invite you to a special screening of the 1969 ABC TV mini series Pastures of the Blue Crane on two successive Sundays – 25 November (sold out) and, by popular demand, a repeat performance on 2 December 2018. An important piece of local and television history will return to the screen, thanks to lobbying from the Tweed Regional Museum and passionate community members. This beloved Australian classic, produced by the ABC in 1969 and adapted from the novel by local author, Hesba Brinsmead, is now available to the public again after nearly 60 years. 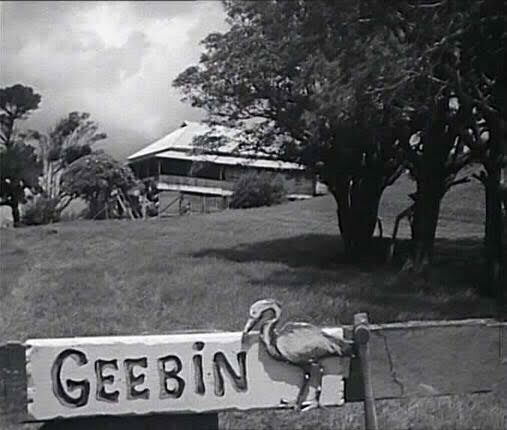 Starring Jeanie Drynan and Harry Lawrence, this iconic coming of age story was filmed locally in the Tweed and showcases the landscapes around Murwillumbah, Terranora, Tweed Heads and Coolangatta in the 1960s. The black and white mini-series will be shown in full (2.5 hours) with an interval. This is the first time since 1969 that audiences have seen it on the big screen; this is a once in a lifetime opportunity – don’t miss out! Read more about the Tweed communities effort to get this film re-released HERE.